Chicco Fresh Relax Teething Ring (Assorted Colors) in India. Chicco Fresh Relax Teething Ring is developed to give massage and soothe baby's gums. The cooling teether Fresh Relax corresponds children aged 4 months and over. 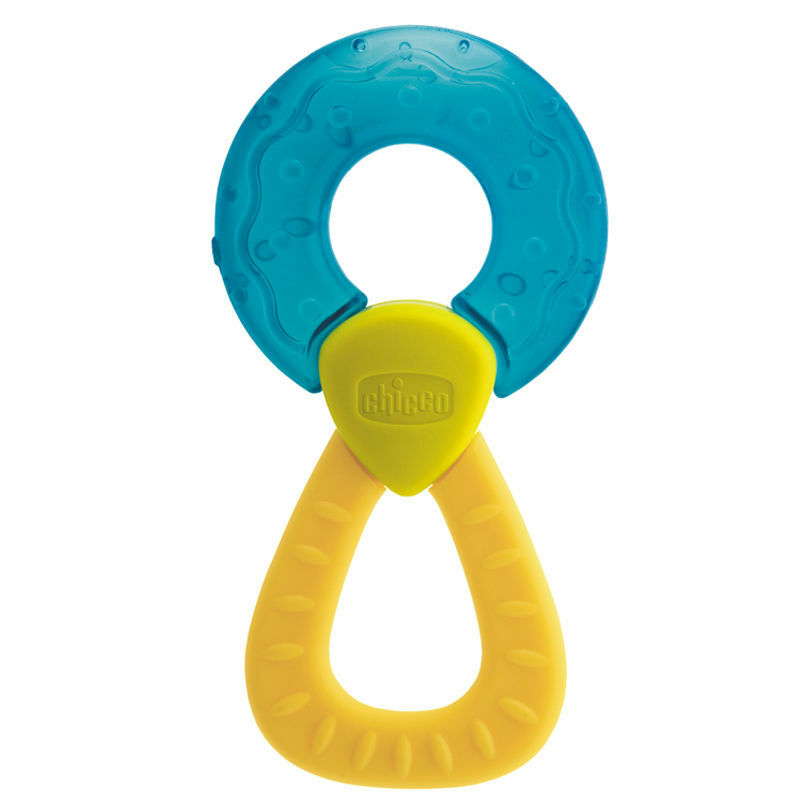 The Teether by Chicco helps the little ones during teething and gently massages the gums. It contains sterilized water which helps to relieving pain, refresh mouth and gums. Chicco Fresh Relax Teething Ring is pleasant to chew and gives relief to baby's sensitive gums. Additional Information:At Chicco safe products are designed and developed to provide complete comfort in baby's growing up years.